Do you remember making these as a kid? 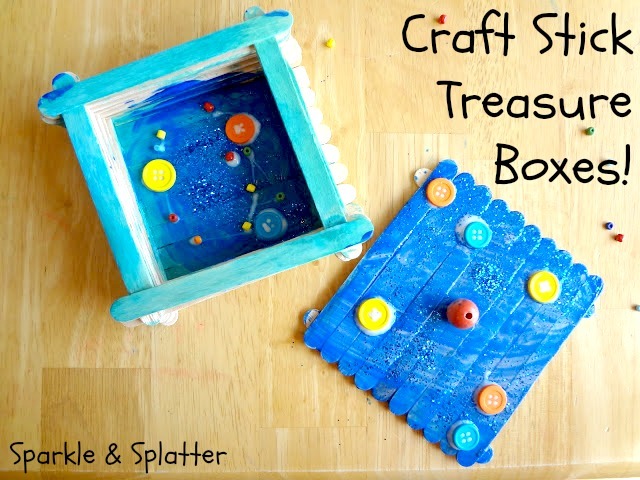 Using craft sticks and glue, you can make your own treasure box in no time at all! A treasure box makes a thoughtful gift too. 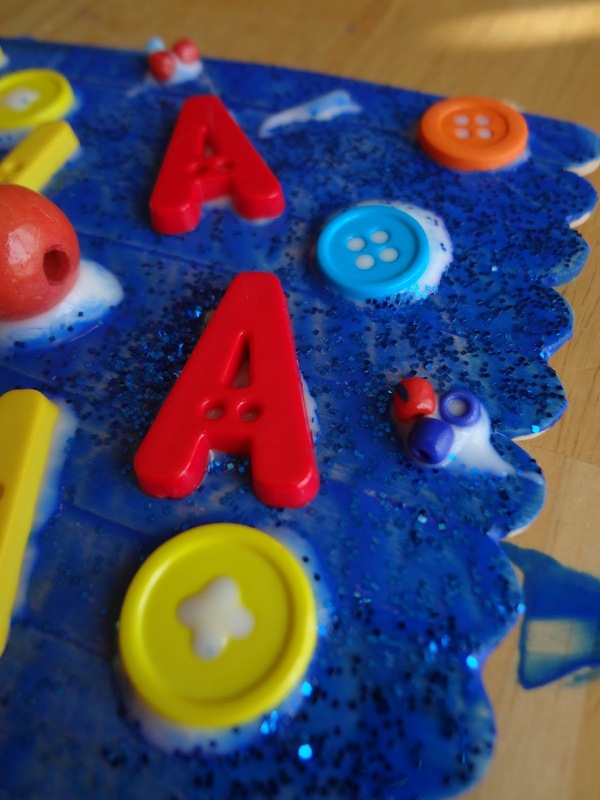 Things to decorate your box: glitter, beads, buttons, pom poms, feathers, and anything else your little one would like to put on there. Now your lid is finished! On to the box bottom. With the first layer, place a glue bead at either end of a stick and begin to stack them as shown (kind of like a log cabin). At this point, you can straighten up you sticks if you need to while the glue is still wet. We painted ours with tempera paints. You could also try watercolors, they'll soak into the wood more making a "stained" effect. Then a large wooden bead for a "handle,"
and even some alphabet letters that I had from another project...lovely!